Caribbean parents often use the expression “who don’t hear will feel.” This is said to a child to remind him of the importance of listening and obeying. Often we find ourselves in trouble because of a failure to listen to the advice of others who are more experienced. 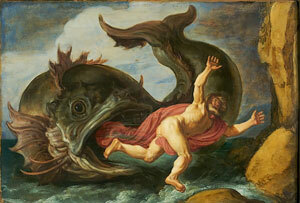 In our first reading Jonah failed to listen and obey God and got into big trouble. But he’s in luck, as “The word of the Lord came to Jonah a second time.” During Lent the Church asks us to fast, pray, and give alms. God is always communicating with us, but how well are we listening? Often we could have avoided certain situations if only we had listened to God. When Jonah finally listened and obeyed God, the words he spoke caused an entire nation to turn away from their sins. As we make this journey toward Easter, let us truly listen to the word of God in our lives, and when we hear his words, may we act upon them so we may be blessed and also be a blessing to others.